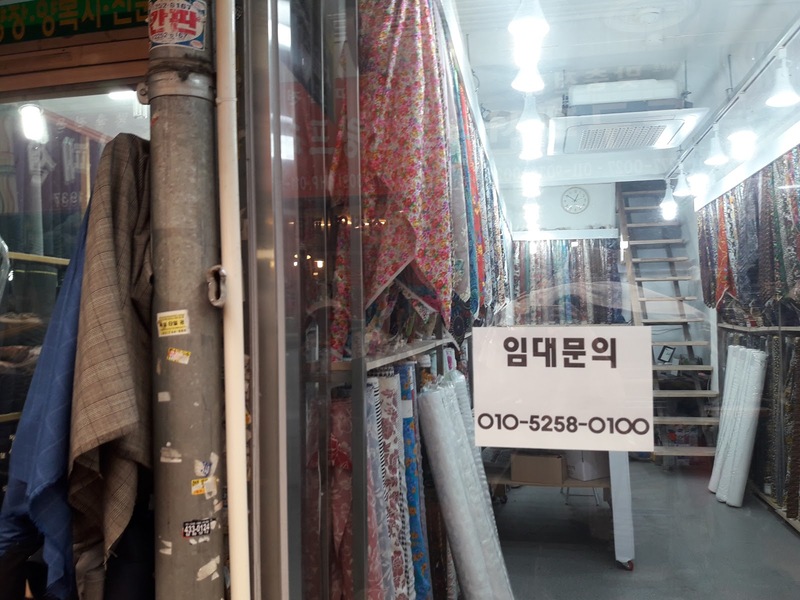 Another interesting thing I found out about Seoul is that it has a bunch of traditional markets that remind me of Lahore's anarkali. And like the foods such as halwa puri we sample in our markets, Seoul's markets great us with Kimchi, fried chicken, a gooey thing called 'Tapoki', some sushi-tasting dishes called gimbap, and very tasty savory pancakes. One of the first markets I went to was Gwangjang Market. 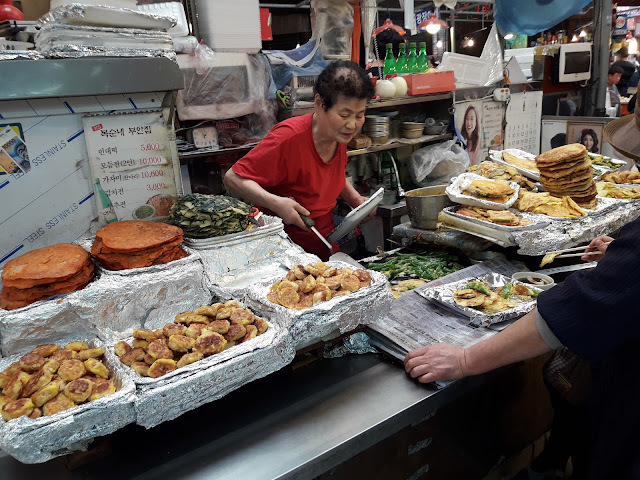 It is one of the oldest traditional markets in Seoul, and is popular for foodies. The very famous pancakes that you will see are bindaetteok. 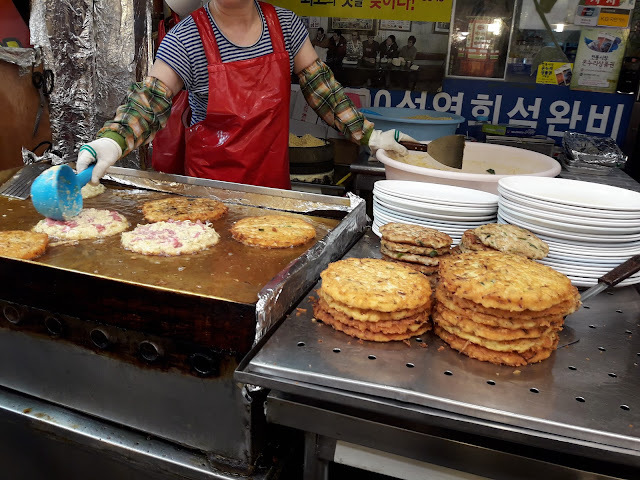 These are mung bean pancakes with some vegetables such as green onions and peppers. However, next to the food market, you will also see a wholesale cloth market and a bunch of singer sewing machines. The market was first established in 1905, is today the oldest remaining daily market in Korea. Gwangjang is less touristy then other markets and malls, but is still as crowded. 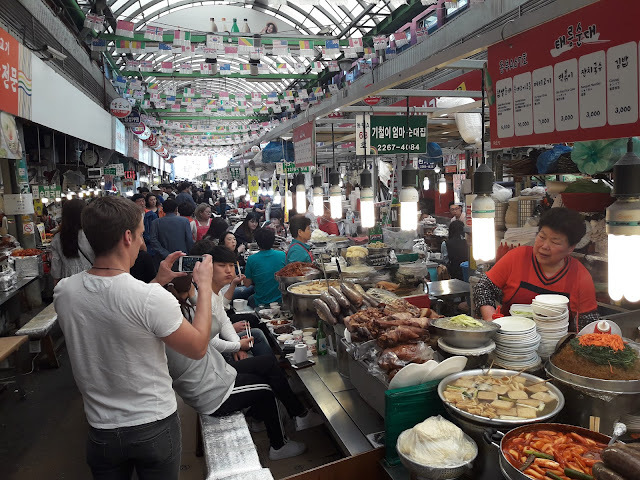 It covers around 10 acres, and although it looks smaller, because most people think it is only the food area, but it stretches onwards with stalls of textiles, silk, linens, bed sheets, hanbok (traditional Korean dress), second-hand clothes, and more. 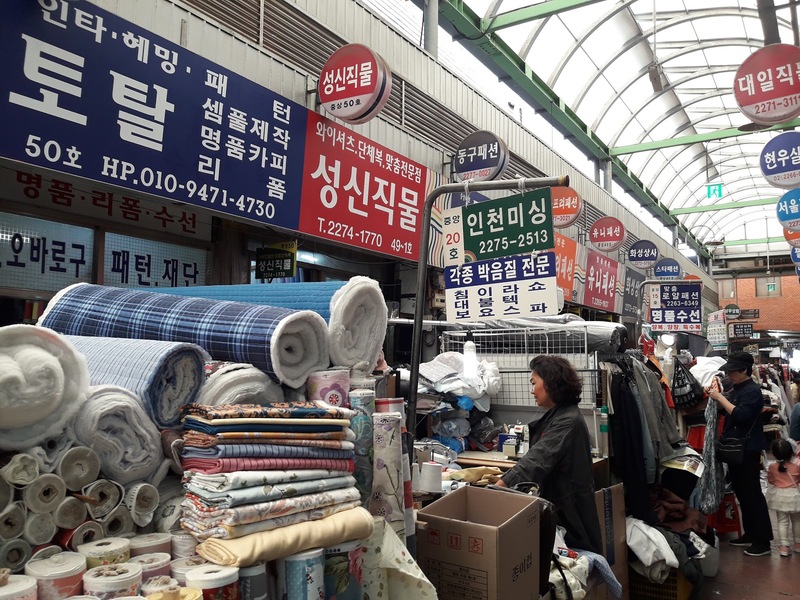 Another market closer to the main city is Namdaemun Market. This is also one of the oldest and biggest ones, though they have a bunch of knick knacks being sold here. It's open air, so somewhat airier than Gwangjang. Gwangjang is close to Myeongdong, so you can always go to fancier markets!